A desire for Nespresso? A good ristretto type coffee, a creamy lungo coffee? 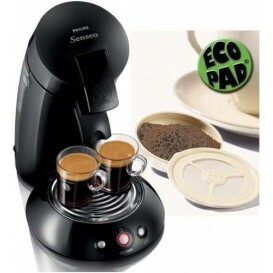 Find a selection of the best Nespresso compatible coffee capsules and Senseo coffee pods on spi-discount.net. A wide range of capsules and pods of different brands at reduced prices is offered to treat you with delicious coffees that you have made yourself. Sold individually or in bulk, our pods and capsules are guaranteed top quality. Espresso machines and coffee pods are essential in the morning and offer unparalleled coffee flavors. However, they were long shunned because of the "chore" of capsules. In fact, the price of Nespresso capsules or their limited distribution in exclusive sales outlets was binding for some time. This disadvantage is no longer today, thanks to the many Nespresso and Senseo compatible pods available on the market. The most famous and appreciated are the French brands Capsul'in, Brown Coffee and Téspresso. 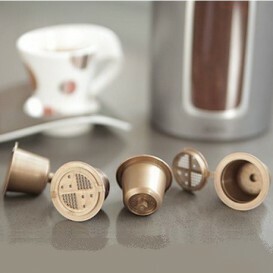 Capsules, of European origin, sold on the site seduce for their quality, their efficiency, but especially their practicality. They are characterized by their easy use. To do this, heSimply pour your Arabica or Ground Robusta coffee or coffee beans, freshly roasted in one of the capsules of the package, close it with the aluminum tights provided, then tap the pod to compact the coffee. This method, very quickly mastered, can however be even simpler thanks to the capsules-holders (allowing to hold the capsule at the time of the filling) or other accessories to realize its pods and capsules of coffee .. These objects are available on the pages of our website. Offered at discount prices, our nespresso compatible capsules are available in pack of 100 pieces and in batches of 3 to 10 pieces. You will also have the choice at the level of brands (Capsul'in, Téspresso, Coffeeduck or Brown Café). A real way of to respect the environmentthanks to its biodegradable capsules, recyclable but also reusable. The ECOPAD Senseo allows you to infinitely reuse your pod. The coffeeduck capsulesallow you to do the same but Nespresso version! Eat smart with these reusable capsules and podsisables. These capsules compatible with any espresso machine You will enjoy a full-bodied coffee, a medium, a decaf or an organic coffee. If you are a fan of cocoa powder or tea, know that our senseo capsules are also compatible with Earl Gray, Assam tea and other green teas. At spi-discount, you'll be sure to find the best nespresso-compatible pods at a sacrifice price, save money and contribute to the respect of the environment. 150 pods of 5g of Italian brand Dolce Vita sugar. Tampbox is an accessory for preparation for Capsul-in capsules compatible with Nespresso coffee, tampbox vuos allows a fill without effort! 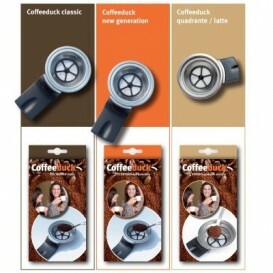 Set of 3 capsules Coffeeduck reusable, compatible with all coffee machines < stRong >Nespresso. 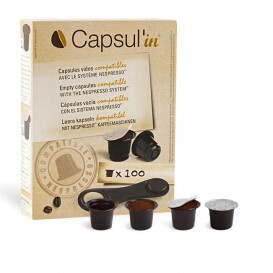 These capsules will allow you to use the coffee of your choice, see even tea in bulk, while respecting the environment. Resistant to the dishwasher. Reusable pod Coffeeduck, compatible with all Senseo coffee machines. This pod for Senseo will allow you to use the coffee of your choice or tea, while respecting the environment. Resistant to the dishwasher.